Greetings, Inclusion Lab readers! I’m taking a little break from our usual posting schedule this week to make an exciting announcement. 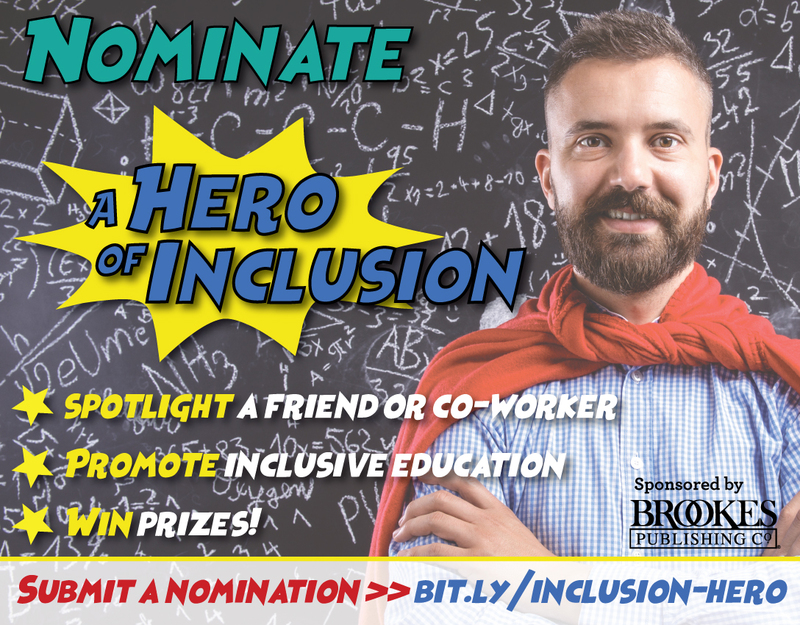 If you know a teacher who’s a true “inclusion hero” and deserves way more recognition, you’re going to love this! So if you’ve been following the blog for a while and keeping up with Brookes on Twitter and Facebook, you’ve probably seen (and maybe downloaded) the special inclusion-themed calendars we put out every year. Last year we highlighted 12 of our “inclusion partners“–amazing bloggers and organizations who shared some of their best tips and advice on each calendar page. Well, this year, we’re turning the spotlight on 12 incredible classroom inclusion heroes. And YOU get to decide who they are! Do you know a teacher who works tirelessly each day to make every child feel welcomed and included? Do you work with a UDL wizard, a differentiation genius, or a champion co-teacher? We think their accomplishments deserve praise and recognition. Tell us about them, and your favorite inclusion hero could win their own page in our new 2017-2018 inclusion calendar! 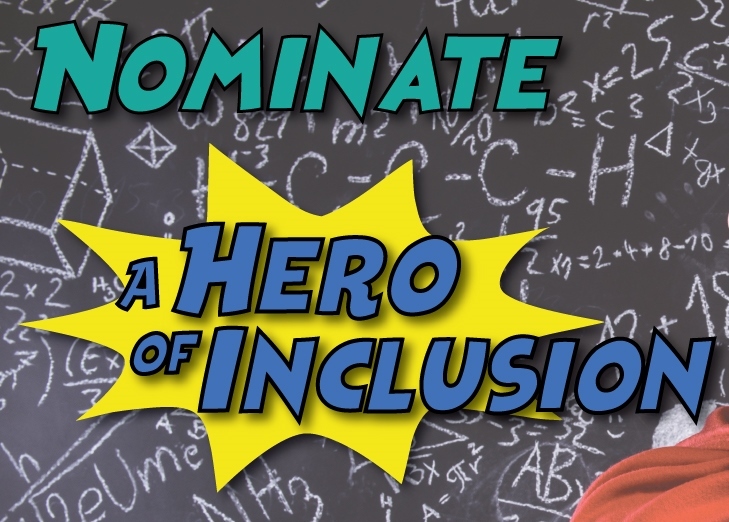 If your nominee wins a slot, it’s not only the perfect chance to honor their A+ work, it’s also a great way to inspire other teachers across the country to be the “inclusion hero” their learners need. If your nominee wins a spotlight in the calendar, we’ll notify you both by email. Good luck! Just checking in on the contest. When selections will be determined? The review process is under way, and we’ll choose winners on Friday, 5/12. An announcement should follow early next week. Thanks! Awesome! Looking forward to the results. Thanks for the update. Was our Natalia ISD hero chosen?